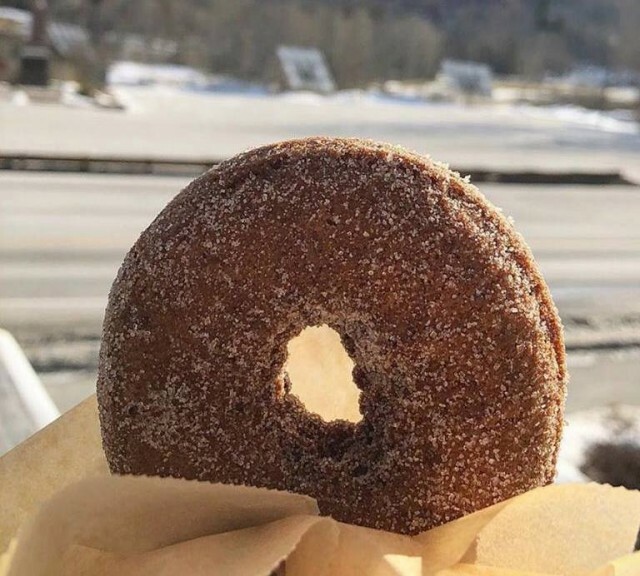 Few things fire up a day of skiing and riding more than fresh-baked goods and a hot cup of joe – and the high country full of spots to pick up a doughnut, croissant, scone or more. 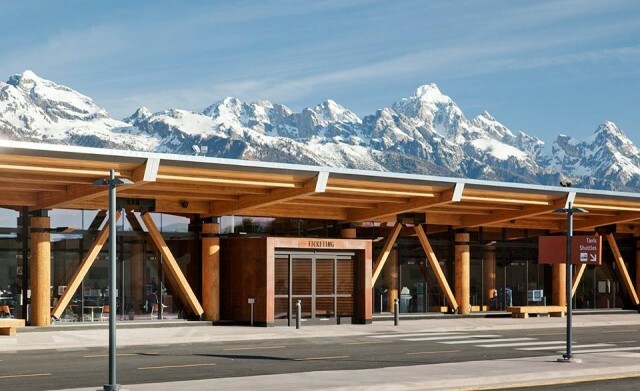 Taking a flight to a major airport in the West is just the first step to getting onto the ski and snowboard mountain. 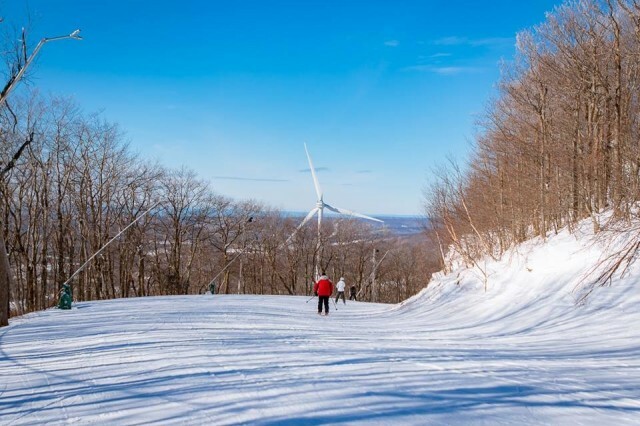 From efficient snowmaking to recycle stations to wind and solar generation, ski and snowboard resorts know that their survival depends upon reducing the effects of climate change. This is a serious skiing and riding mountain. Powder and steeps are what The 'Bird's all about. Little Cottonwood Canyon catches as much snow as anyone, and the precipitous terrain will make even the most daring pause. Vacationing skiers and snowboarders can be an anxious lot. 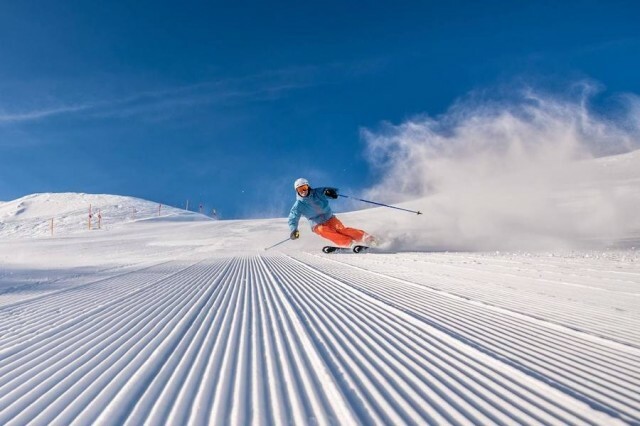 They want to get the most runs possible in the time they have, so getting out of the airport quickly and onto the slopes as soon as possible is paramount. Just by its name -- Alta Ski Area – you can tell that you’re skiing “old school.” The famed powder mountain is one of the oldest in the country, opening in 1939, and much is the same today. 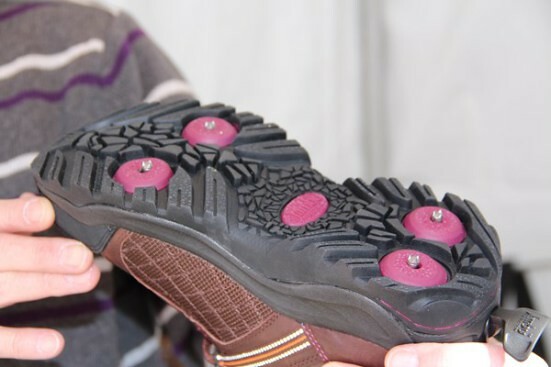 Don’t bring your snowboard: Alta’s one of three resorts that prohibit knuckle-draggers. But do bring goggles, powder suits and perhaps a snorkel for, typically, the Alta gets 500-plus inches. Terrain. Alta is two cirques side by side. The front under 11,000-foot Mt. Baldy rolls gently down the middle. But get up on the sides, and that’s where Alta really speaks to you. Be ready for lots of traversing to get to iconic Sunspot or High Rustler skier’s right or Ballroom to the left off Collins high-speed. 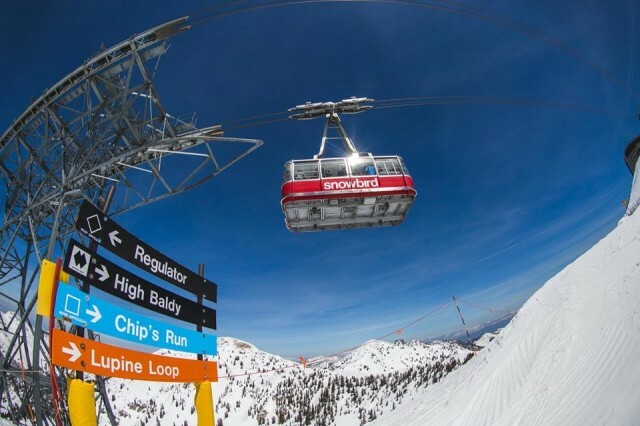 Take Wildcat chair for a trip up into Alta’s original trail – and peek over into Snowbird. Or traverse over to the backside for an array of wide-open slopes in Greeley Bowl, the gnarly drops off Supreme lift, or the only greens on the hill -- gentle long cruisers all the way to the base. Tickets. Used to be cheapest day ticket around, but now at full retail of $96. Online, reloads and multi-days cut prices. 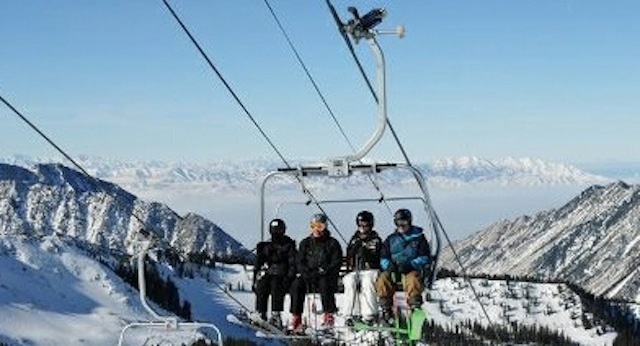 Alta is in the Mountain Collective, also has combo with Snowbird. Beginners get late-afternoon deal for novice-only tickets for Albion lift. Eat. Basic skier’s fare on the hill at Watson’s Shelter on the front, and Alf’s Lodge on the back. Down below, the same during the day, but the fondu flames fire up every evening at lodges. Lodging. Three classics await -- Alta Lodge, Peruvian Lodge, Rustler Lodge – with European cuisine, cozy rooms and steins of beer. Goldminer’s and Snowpine a bit newer but also compact. A limited number of condos and townhouses up near the mountain. Down below, town of Sandy is full of VRBO’s and motels. Transportation. The airport-to-lift trip is the quickest in country. 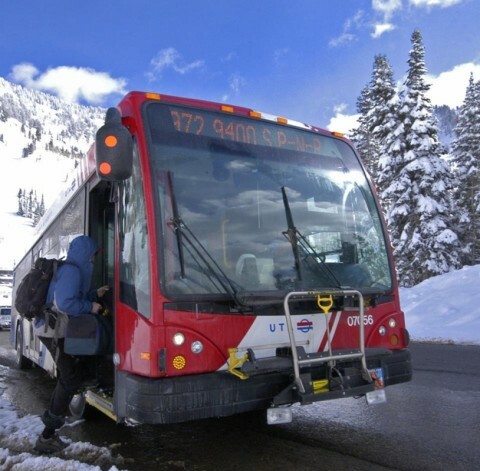 Utah encourages taking a bus up Little Cottonwood rather than fight the traffic, which can be monumental if it’s snowing. Shuttles run regularly back down to town and nonstop to the airport. Parking’s cheek-to-jowl around the base (no lot shuttles).  Insider Tips: You want challenge? Head skier’s left off Wildcat and stick near the boundary rope. All it does is get steeper, cliff-ier and longer the farther you go. Want to miss crowds? Stay overnight and hope the access road is closed by avalanche. 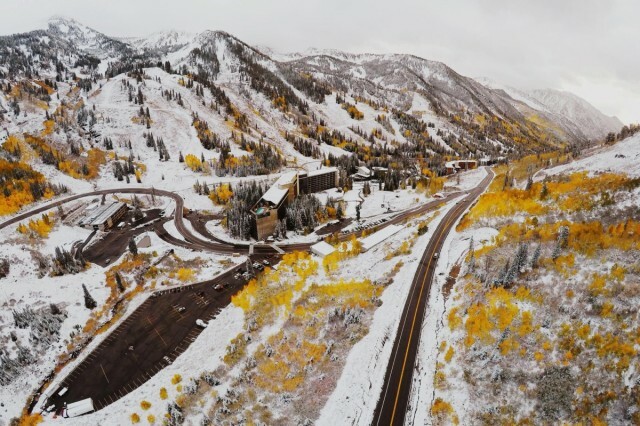 Steamboat Ski & Resort Corporation and Visit Salt Lake today announced the organizations have reached a settlement of the litigation involving Steamboat’s Ski Town, U.S.A.trademark and Visit Salt Lake’s Ski City USA marketing campaign. 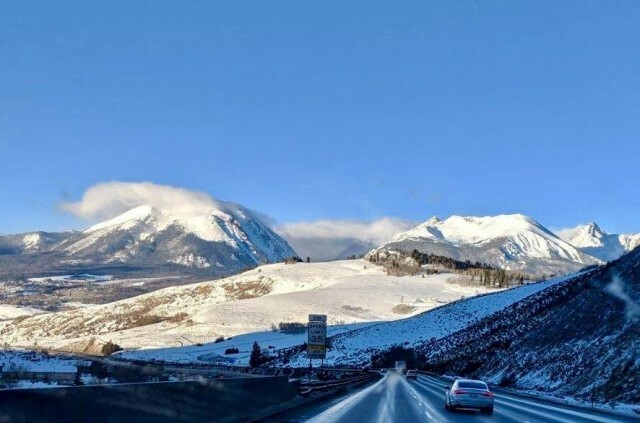 It was a lovely spring day in the middle of winter as the Outdoor Retailer Show kicked off its annual five-day convention yesterday at Utah’s Solitude Resort. Blue skies and 40-degree temperatures is the next best thing to freshies, but you could tell that the manufacturers were conflicted. 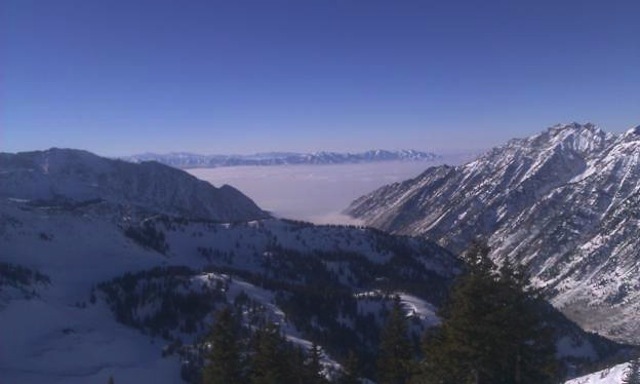 The recent “mother of all inversions” down in the Salt Lake basin has prompted Snowbird to lure skiers and riders out of the smog and onto the slopes.